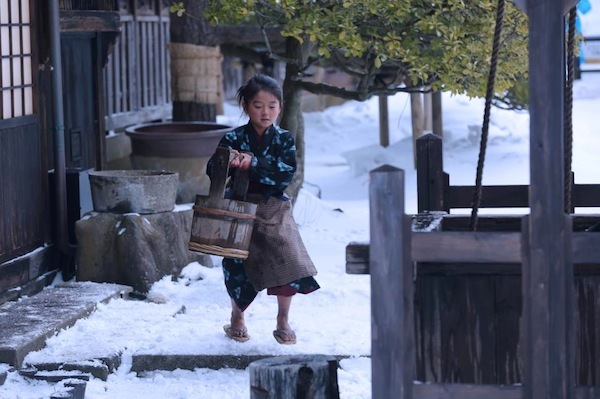 "Oshin" is based on the NHK drama series "Oshin," which ran from April 4, 1983 to March 31, 1984. 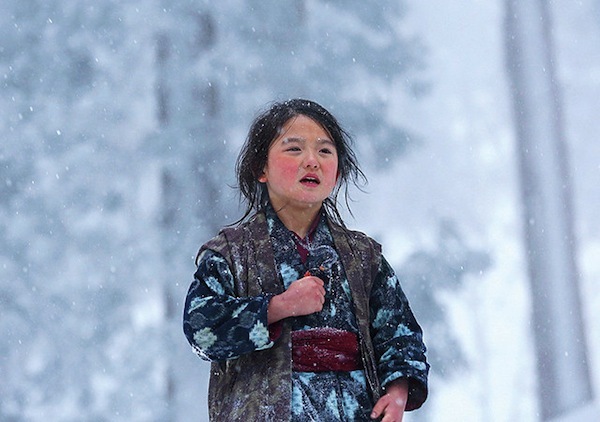 Child actress Kokone Hamada was selected to play Oshin Tanimura after auditioning among 2471 other candidates. Filming began February 8, 2013 in Shonai Movie Village and Tsuruoka in Yamagata Prefecture and finished April 3, 2013. Mia Sep 25 2018 9:04 pm Wow! I remember watching the original drama series waaaaaaaaay back in the 80's. My whole family would sit down to watch it together. Then crying a river after the end of every episode. I haven't seen the movie yet but will plan to! Max Jun 20 2018 5:23 pm I'm Ueto Aya and Kishimoto Kayoko fan. I had seen the NHK drama a long time ago, and didn't finish watching all the episodes, because there were too many of them,in span of about 1 year. Now I look forward to watching it. Nandika perera Feb 03 2017 6:39 am i saw the" Oshin "drama many time . the best drama . my twin daughters also like it. I Love very much Oshin . very dedicated input and do the all are done there acting very well. my all family like it . i awaiting for seen the film in srilanka.i saw today visiting ayako kobayashi , give our pleasure regarding to her . come again to sri lanka all the oshin team. we are appreciate lot to japan about making a film like this . ayako kobayashi thanks you very much your visit to sri lanka. jasmine Feb 15 2016 9:59 pm Aah, this one is the movie, I thought it's the one I watched since my childhood.. 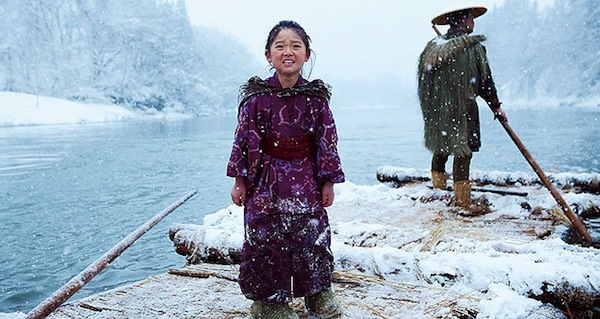 The story of Oshin has influenced my life. Merdeka Indonesia! 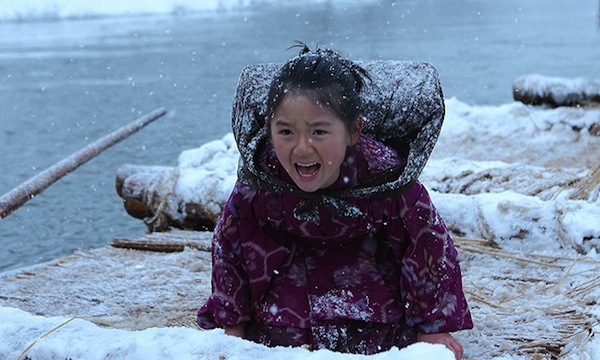 Vishnu Pandey May 18 2015 5:07 am I watched this series 'Oshin' in Japan. I wonder if some one can tell me if there is a DVD available and where can I find it. I lived in Japan during those years and I understand Japanese. Now I live in U.S.A.
Alan Chan May 06 2015 6:52 am I watched this movie on the planes could someone please tell us where to purchase a copy of the beautiful movie? niher chowdhury Feb 18 2015 6:03 am I had viewed the entire Oshin film over T.V few years back along with my family members and never failed one date to attend timely. The actress particularly in her childhood and in youth acted so brilliantly in black & white photography, we never forgotten it. We do want to see that picture today itself to satisfy our satiety for OSHIN once more. Ravi Chukkapalli Jan 19 2015 2:28 pm I did watch this movie on a flight from JFK to Tokyo. I was crying . Ko kone Hamada acted so great. SOAP OPERA countless time in what everchannel it is telcast.since 1994!! I simply like the  story no word to express!! Barbara Howard Nov 21 2014 1:36 pm i just watched this movie Oshin on an international flight to Paris. The little girl Kokome Hamada was amazing! I cried from the beginning - a fantastic movie. I'm trying to locate it with English subtitles to purchase. I want everyone I know to see it. I cannot get it out of my head. Great - Great movie!! S.M.sastry Apr 19 2014 7:02 am I saw this film in T.V. 19 years back. after that, I could not and did not see any cinema for almost five years. All other cinemas looked very pale, compared to this. as I see the images of Oshin, tears roll down my eyes. That small child artist made our family shed tears and we were not ashamed of it. Glenn Shono Mar 30 2014 2:40 pm UTBhollywood in Los Angeles (channel 18.2) is rebroadcasting Oshin on Sundays at 8:00-9:00AM) with a repeat at 8:00-9:00PM. Three episodes are shown every Sunday. As of 3-30-14, 156 episodes have been shown. 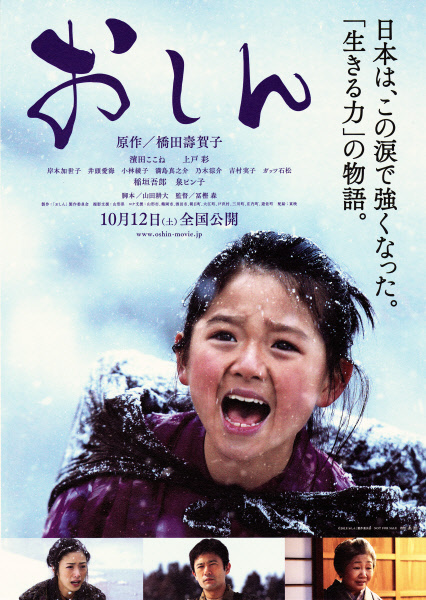 solar Mar 16 2014 10:30 pm Watched Oshin when i was 8 years old in the late 80's.what can i say simply heart warming. TB Yap Oct 21 2013 2:58 am Perhaps, we can identify with Oshin becos we see a part of us in her. It's always nice to see how inner strength can conquer outer harsh circumstances. Films should be made of this kind of quality. It is true that Korean drama themes are getting too copy cat and sugary. It's almost always the same old love story or good verses bad. They need to reinvent themselves and go beyond the obvious and mundane. There are actually true incredible stories that they missed becos of their limited life experiences. Vincent K Aug 08 2013 8:55 pm I watched lots of K-drama when I was in Indonesia. 대장금 (Jewel in The Palace) and 49 days were among my fave. But now that I've been living in Korea for almost 2 years, I found that (most of) K-dramas are toooo sugary. They have added too much rose tint in their history and reality. Korean living actually is more depressing than inspiring. Now personally I want to revisit more on Japanese culture than Korean. I was too young to understand the series when it first aired. Now I get it and have a deeper appreciation toward J-drama. Oshin is one of it, I don't know much obout J-drama though. Angelina Jul 23 2013 1:42 am "Kokone Hamada was selected to play Oshin Tanimura after auditioning among 2471 other candidates." OMG...really >.< so many kids then. But congratz to the little her. :D Hmmmm, maybe I should wait and watch this one. I have too many Kdramas to wait and watch LOL. Jaleh May 11 2013 12:09 pm I've seen Oshin Drama 1984 when I was 12 years old. (I was the same old as Kobayashi Ayako) .That was my mom and me favorite drama.